Growing up all birthdays included my Grandma Caroline’s famous chocolate fudge cake. Now as an adult I love carrying on the same tradition with my kids. Every time I make this it is a huge hit and everyone always wants the recipe, so here you go! I hope you love it as much as we do! Cream butter and sugar. Add eggs, milk, and soda. Add dry ingredients then vanilla and boiling water. Bake at 325 in two greased 9″ circular baking pans (or one 9×13 pan) until firm in the middle (about 35 minutes) Cool. For frosting combine margarine and cocoa in saucepan until melted. Slowly add in milk, margarine and cocoa until blended, heat until boiling. Pour over 1 lb. powdered sugar. Add in a splash of coffee (about 2T.) and vanilla. Continue mixing and adding powered sugar until it is a thick pourable consistency. 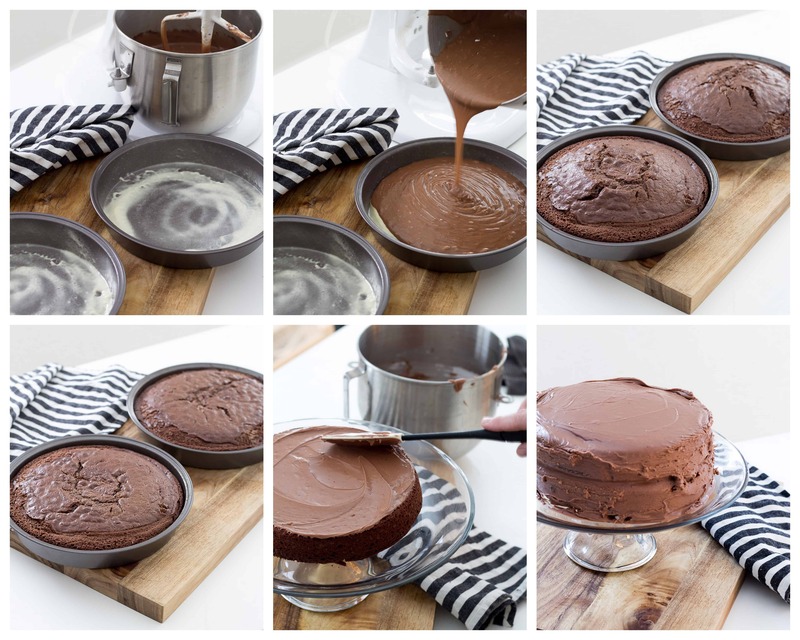 Pour a thin layer of frosting between cooled cake layers and stack. Then pour remaining frosting over cake. Use spatula to smooth sides. Decorate with sprinkles, rock candy, or whatever you desire! Serve with vanilla ice cream. -Upon removing from oven spread a damp towel over the cake and flatten it with your hand or a book (be careful not to burn yourself!). This will make the cake flat and stackable. -Dump the cakes from their pans about 6 minutes after removing from the oven. -Let the frosting sit for a minute after pouring half over the cake, the firmer frosting holds to the sides better. 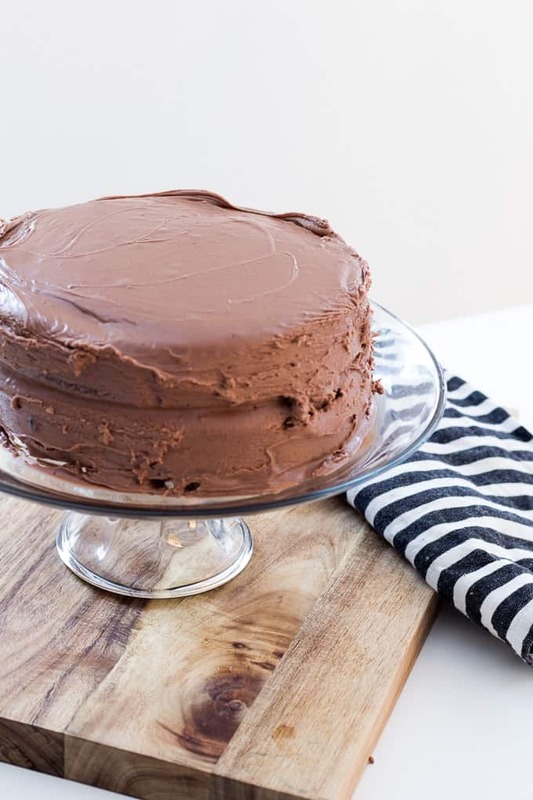 -Don’t pour your frosting on the cake stand unless you want the stand covered in it! 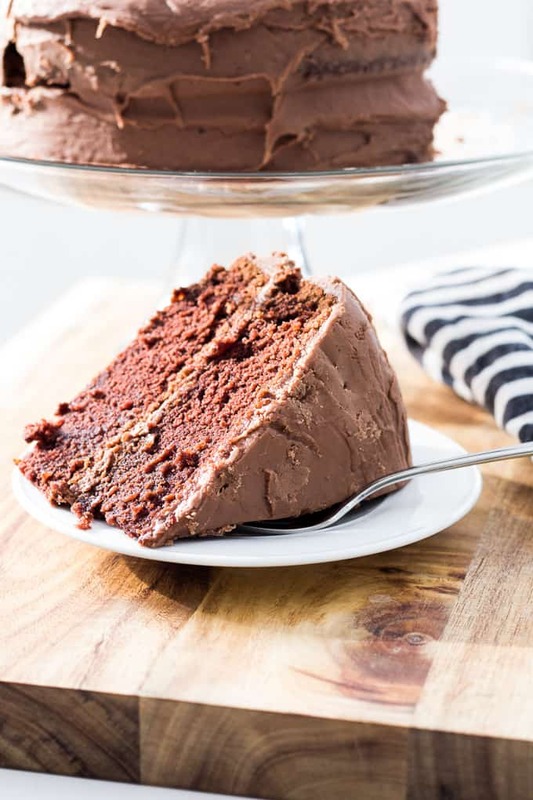 Instead move your cake to the stand after it is frosted. This is the same recipe I use to make a Birthday Cake for Jesus every year too! 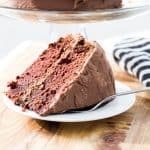 I hope that you enjoy this birthday cake recipe as much as we do! Good luck not licking the bowl! Don’t frost the cake on the stand. Ha! That was a memorable one. This was my dad’s favorite treat. We always made it as a sheet cake. I call it Death by Chocolate Cake. Love it! Good name! Isn’t that the truth. I’d be happy to die eating this! Thanks for stopping by.